Kilindi Iyi is the head instructor and technical advisor of the Tamerrian Martial Art Institute based in Detroit Michigan. A world traveler and mycologist, Kilindi has presented on the subject of psilocybin as far north as Norway and as far south as Australia. Kilindi his knowledge from traveling in new states of consciousness to share, coupled with the skills of master cultivator of exotic mushrooms, lends a power and authenticity to his presentations. Kilindi remains a teacher and advocate for hallucinogens, as a bridge into the world of trans-humanism. This thought led him to his first vocation. "If everywhere else around the world has martial arts, then Africa must have one as well". This led him to the style of African martial arts that he was looking for. He is a warrior scientist. The other half of his vocation is developing and understanding the uses of medicinal mushrooms. 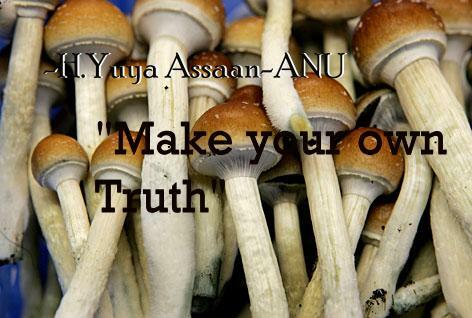 The magic mushroom is an experience, not an intellectual discourse. It is an experience where people pour their libations and go through the different portals with the enthogenes, the power plants so that you can experience the God within. There are different types of mushrooms create various experiences, such as the black panther mushroom that comes out of Africa. In ancient times all of the spiritual systems were hooked to different power plants such as mushrooms. For example, the soma which is a hallucinogenic brew was the most important part of yoga. The use of the soma gave the writers of the Bhagavad Gita the insight and experience with Krishna. AWS Access Key ID: AKIAJVROQJCZVBN4CBGQ. You are submitting requests too quickly. Please retry your requests at a slower rate. With the use of the magic mushrooms, you can explore various perspectives and can actually change the way you view the universe, where you are and where you are going. It is imperative, according to Kilindi, to have a direct experience instead of mere belief. Belief, as the H. Yuya Assaan-ANU teaches, is a lower vibration of spirituality. True spiritual development is coming into a knowing. These power plants convey to the person who ingest them, it conveys a direct experience of power and legend and gives you direct contact with your genetic system. It can activate and pull out dormant powers. Magic mushrooms are organic technology that has access to the Akashic records that is in contact with the pineal gland and can take you to these different chakra points of the multiverse. The power plants are used to understand the martial sciences and how it was downloaded to the Earth through taking magic mushrooms and other hallucinogens. The pre-Kemetic priests journeyed to these realms and built what they saw in those astral realms. Kilindi lets it be known that no man has the answers but the universe that you can access those answers.